Highest quality acrows from just £4+VAT per acrow for a week. Full range from 1.14m through to 4.8m. Can be used with Strongboy attachments. Prices as low as £4 per week. Whether you are carrying out a domestic project or a large commercial build call us today for your acrows hire and strongboy props. You can always great a trade discount rate. 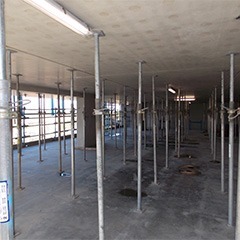 We also supply scaffold tower, ladders, scissor lifts, a full range of access equipment. Call us today on 0370 218 4541 our friendly professional staff can advise you on the equipment you need for your next project. 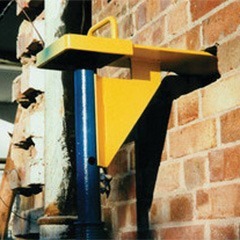 Fitting lintels with push-pull props, holding up structural brick work can be a risky business if not supported properly. Health and safety officers now operate not only on big projects but are also making spot checks on smaller contractors and self builders. When you need builder’s prop hire speak to a team that not only know their equipment, but also go to great lengths to make sure that it is as safe as it possibly can be. With great trade rates on Acrow Props Hire that you don’t need to haggle for along depth of knowledge, you can be sure you are getting the best level of service when you call us. If you are unsure on the quality of our products, we can assure you that all of our Acrows are inspected, maintained and fully cleaned before going back out on hire to our customers. Your safety is our top priority and we would never stock unsafe access equipment. 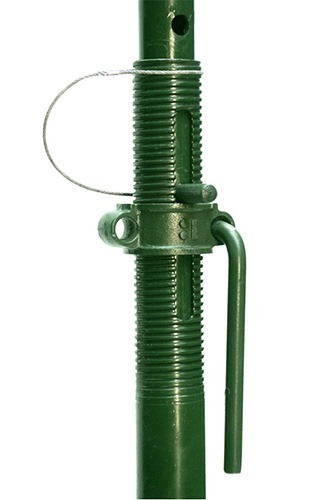 We supply Acrows nationwide, we wont have any problem supplying acrow props in your area. Check out the main locations below. Have you got any questions about Acrows Hire? Call us on 0370 218 4541 or complete the form to the right of this page.